RALEIGH — Campbell Law School Dean J. Rich Leonard will discuss the time John Marshall, fourth chief justice of the U.S. Supreme Court (1801-1835), spent in Raleigh as a circuit judge at the inaugural John Marshall Lecture at noon on Jan. 31, at the law school. Dean Leonard’s lecture on Chief Justice Marshall kicks off Campbell Law School’s 10/40 “From the Capital to the Creek” anniversary celebration — recognizing the 10th anniversary of moving to downtown Raleigh from Buies Creek and the 40th anniversary of its first graduating class. Dean J. Rich Leonard sitting in former U.S. Supreme Court Justice John Marshall’s chair, which has been donated to the law school. 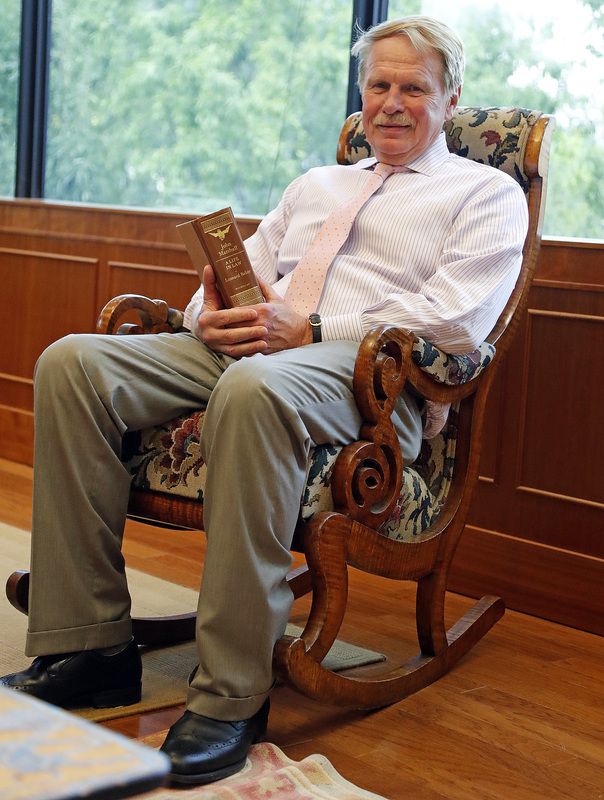 In addition to his travels and the legacy he built in the legal community, Marshall’s remarkable history in Raleigh even extends to where he relaxed after a hard day’s work. In 2017, Dean Leonard met the Chief Justice’s great-great-granddaughter who entrusted the dean with a storied piece of Americana in the form of Marshall’s rocking chair, which research reveals to have most likely been built by the Day Brothers. The Day Brothers were pre-Civil War free African-American brothers, who were North Carolina’s premier furniture makers. 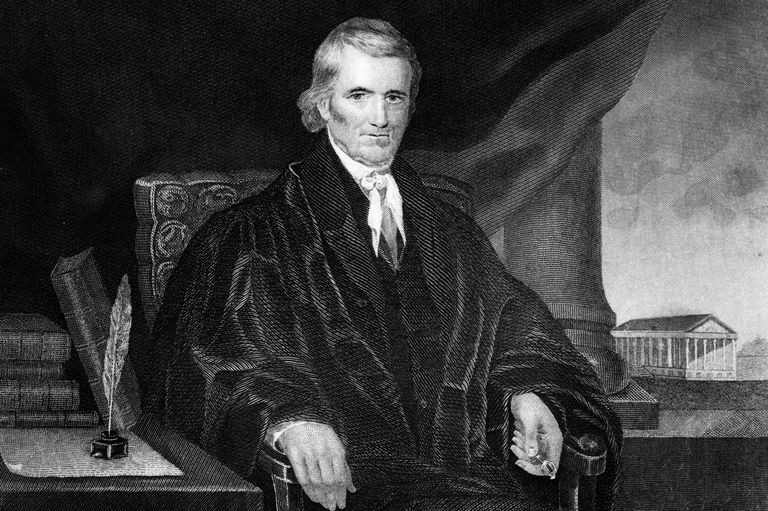 A reception featuring the unveiling of the John Marshall chair’s permanent exhibit in the Campbell Law Library will follow the inaugural John Marshall Lecture, which will be held in Room 105. Registration is available at Mobile Cause.